SVES your books have arrived! I really enjoyed speaking to the third and fourth grade students at Saucon Valley Elementary School last week! 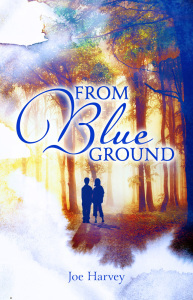 If you ordered a copy of From Blue Ground, it has arrived and your signed copy will be in the elementary school office tomorrow morning. Thank you! Personalizing copies for the kids from Spring Garden Elementary! A special thank you to the fifth grade students and teachers at Spring Garden Elementary School in Bethlehem! I had a great time! So excited to be speaking tomorrow at Spring Garden Elementary School in Bethlehem. Thanks to Mr. Dave Siegfried and all the other fifth grade teachers for having me!